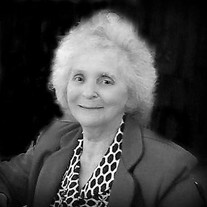 Lou Francine Dickey, 78, passed away January 5th, 2017. She was born February 22nd, 1938. She attended the Rejoice Fellowship Church of Cave City with her family. She liked to sew and liked to cook. She enjoyed attending events at the Senior Citizens Center, and most of all she enjoyed time spent with her family and grandkids. She was preceded in death by her parents William Matlock Sr. and Snoda (Clark) Rutledge; her husband Charles H. Dickey; and her brother William Matlock Jr.
She is survived by her son Phillip Dickey and his wife Carla; her daughter Shelia Limbaugh and her husband Jimmy; her sister Sue Harmon and her husband John; six grandchildren: Bradley Dickey, Brian Dickey, Kayla Payton, Kristen Tharp, Jillian Grady, Jimmy Limbaugh III; two great-grandchildren Wyatt Payton and Cayden Grady. Visitation will be Friday, January 6th, 2017 from 5-7 PM at the Willis Funeral Service Chapel. Funeral Services will be Saturday, January 7th, 2017 beginning at 11 AM at the Rejoice Fellowship Church of Cave City with Pastor Jimmy Limbaugh and Chaplain Robert Bales officiating. Interment will follow at the Cedar Grove Cemetery of Cave City. In lieu of flowers donations may be made in memory of Mrs. Dickey to The Gideons International Bible program.